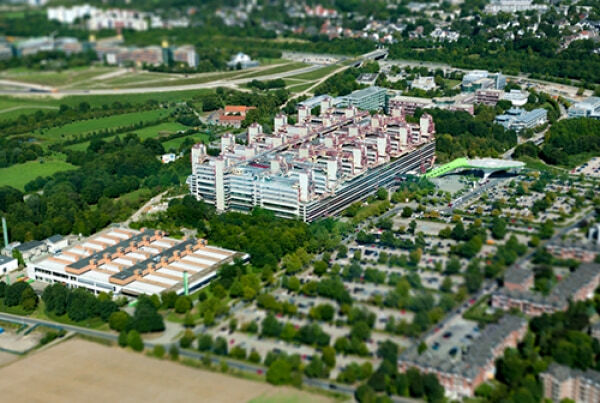 The University Hospital Aachen offers modern advanced medicine to its patients. This huge medical complex consists of 34 clinics and 23 institutes that cover the entire spectrum of modern medicine. More than 6,000 medical staff, including more than 70 professors and 800 medical specialists, care about the health of patients daily. The clinics have 1,400 beds for inpatient treatment, and 40,000 outpatients and 190,000 inpatients are treated here annually. The direct cooperation of clinics with research departments helps to always carry out treatment in accordance with the latest scientific achievements. All clinics and institutes are equipped with the latest medical and technical equipment, which allows for accurate diagnostics, not only thanks to imaging methods like MRI, PET-CT, etc., but also to carry out all possible laboratory tests on site. Especially the Department of Neuropathology, is in great demand from numerous clinics throughout Germany and not only, because Here they conduct a number of studies that most other laboratories simply cannot do. For example, the study of thin fibers of the skin using various immunofluorescent staining to identify diseases such as polyneuropathy of fine fibers. Each link of the medical staff in clinics is a professional in their field and maintains their medical competence, with the constant further development of their theoretical and practical knowledge. Interdisciplinary cooperation in all areas helps to make the most effective treatment plan, taking into account all the nuances of the disease. Recovery here contributes not only to high-quality treatment, but also to the professionalism of the staff and cozy single or double rooms equipped with a bathroom, telephone and internet. The clinic is also famous for its achievements in pediatric neurosurgery. Already since 1990, serious surgical interventions have been successfully carried out on adults and children. Such operations as microsurgical removal of tumors and vascular formations of the brain and spinal cord, microsurgical treatment of various diseases of the spine, surgery of the base of the skull, pituitary and orbit, as well as radiosurgical treatment of vascular formations and tumors (gamma knife), treatment of injuries of the brain and spinal cord and neuro-endoscopy These are just some of the many possibilities of the neurosurgery clinic. One of the newest advantages of the pediatric neurosurgery clinic is the implantation of the so-called baclofen pump for children suffering from cerebral palsy, this method is achieved by reducing spasticity, reducing hyperkinesis and suppressing the pantonex reaction, and the effect is achieved with much lower doses of baclofen than when taken in pill form.